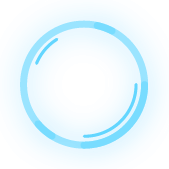 World Cleaning Day is on 15 September 2018. In Cambodia, many organizations, both public and private, are taking part in efforts to clean up rubbish. Wing staff in Phnom Penh will jointly clean up the environment under the slogan "Working Together for Cambodia", picking one of the 11 destinations in Phnom Penh starting with the Monivong bridge and continuing along National Road 1 to Wat Niroth. Wing Specialist Bank also encouraged its customers to join the environmental cleansing movement through the Bank's official Facebook page. The first 300 subscribers registered to participate in environmental clean-up activities on Saturday will receive a T-shirt from Wing Specialty Bank, along with breakfast and transportation to and from the cleaning site. The Ministry of the Environment is also participating in the clean-up, as well as various civilian environmental groups and local government initiatives all over the country. Volunteers from the Delegation of the European Union to Cambodia and from seven embassies of EU countries joined together on World Cleanup Day (Sept.15) to collect refuse from the streets of the Kingdom’s capital. 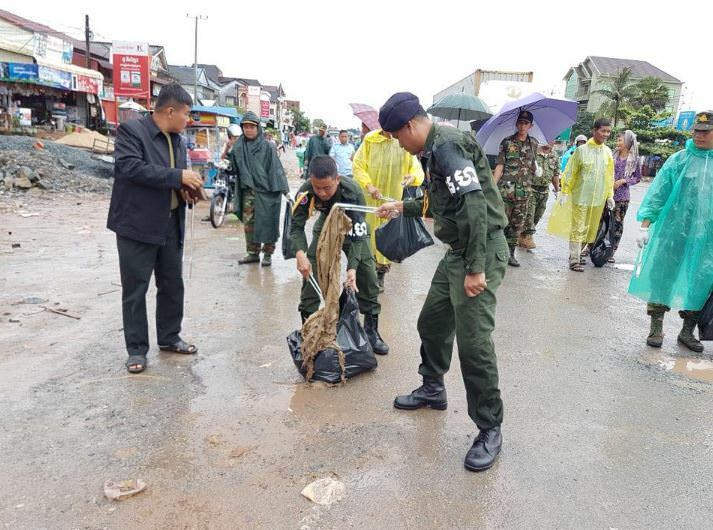 The hundred-strong unit started eliminating litter and refuse at Wat Botum Park and proceeded along the Riverfront all the way to Wat Phnom. At the end of the day they saw “the city was more beautiful with less waste,” as the first counsellor of the EU Delegation, Simone Pieri, put it. 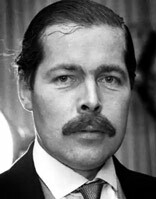 He expressed the agency’s pride in contributing to the cleansing of the city, thereby demonstrating its desire to help Cambodia. 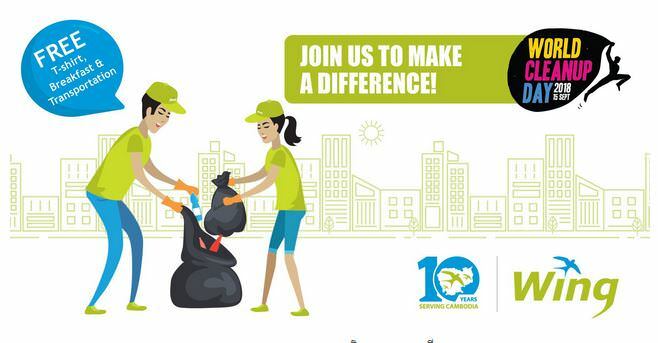 September 15 is World Cleanup Day and Cambodia will be participating with 20 million people from 150 countries across the globe, said Ministry of Environment spokesman Neth Pheaktra. He said that this year, working under the theme “Together for a Clean World”, participants in the Kingdom will strive to improve public spaces across the nation. Local people, Pheaktra said, should clean their homes and surrounding areas, including public roads and other such places in their community in order to enhance the beauty of their communities. 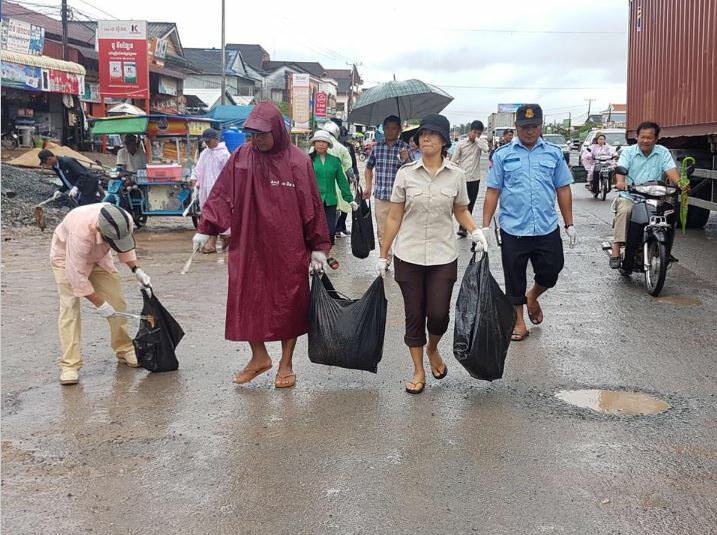 World Clean Up Day: Officials set an example in Prey Nop District, Sihanoukville. So Sihanoukville’s trash is all picked up now? Amazing! Thanks for the reminder; got to clean up along the road in front of the house and get rid of the termite.mound cobra in the outdoor bathroom. Yep, I believe the police picked them all up and they have all been sent back home to China. Yeah, I did my bit by snaring a very destructive Hog Badger in the back yard and then electrocuting all the noisy frogs in the nearby swamp. It was great waking up today to a cleaner environment. I wish I would have seen this I would have participated. I can't help thinking and laughing at the end at Wat Phnom, they just chucked all the trash there hence littering. Ya, it was funnier in my head. Mainly I just want to wake up. Elimination of poisonous serpents helps. 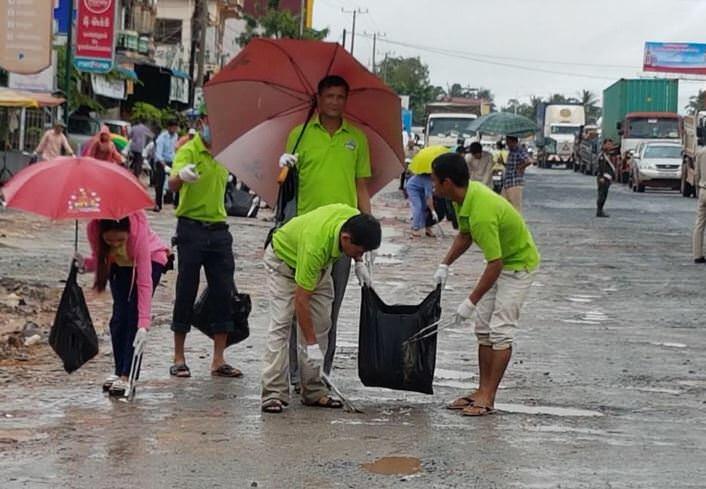 Cleaning up Siem Reap for 2018 Asean Clean Tourist City Contest.